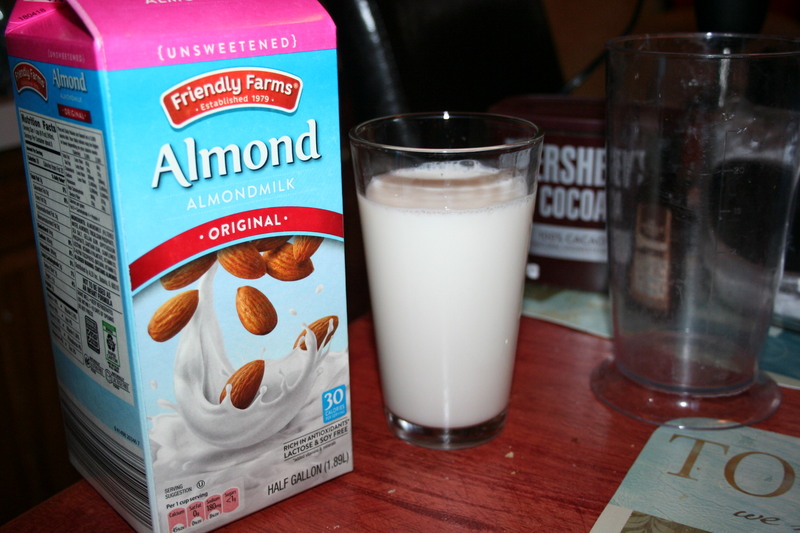 Milk (made from nuts) that is sweet and chocolatey are a favorite of mine! 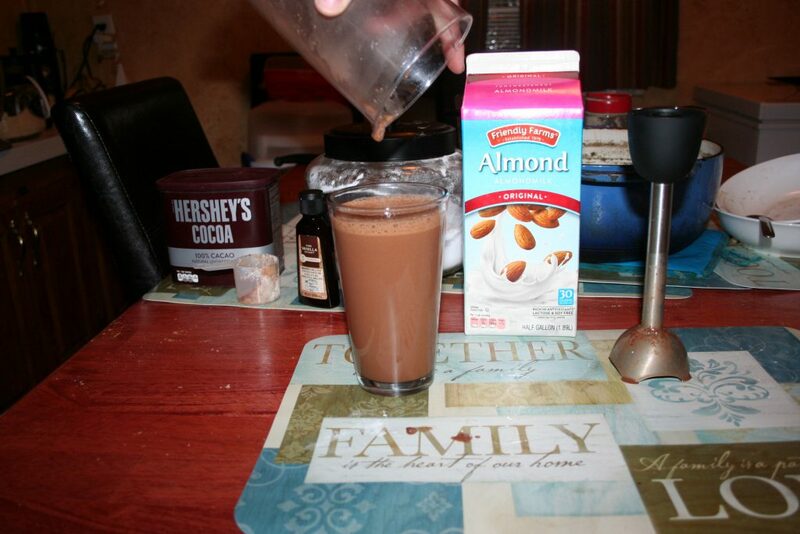 Sean wanted chocolate milk one day and made this recipe up. Of course, he doesn’t really measure, he just adds a little of this and a little of that but it hits the spot. 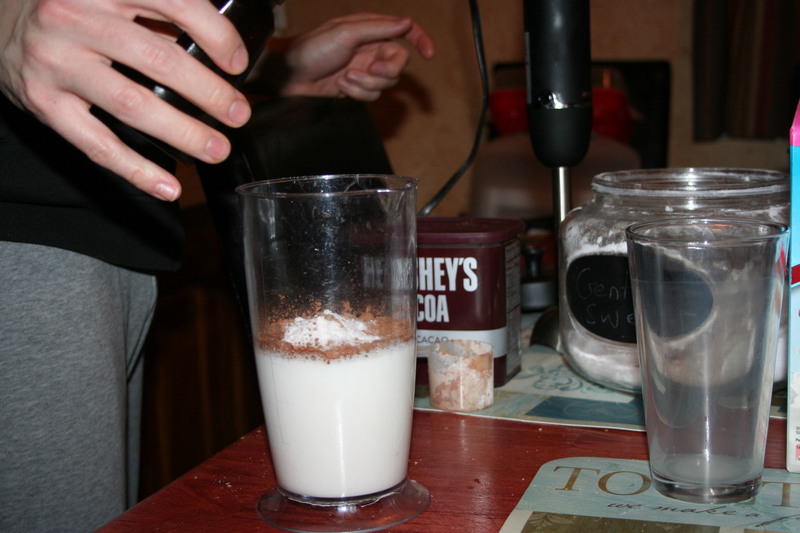 So he starts by pouring the milk into the glass you wants to fill, so he has a full glass. 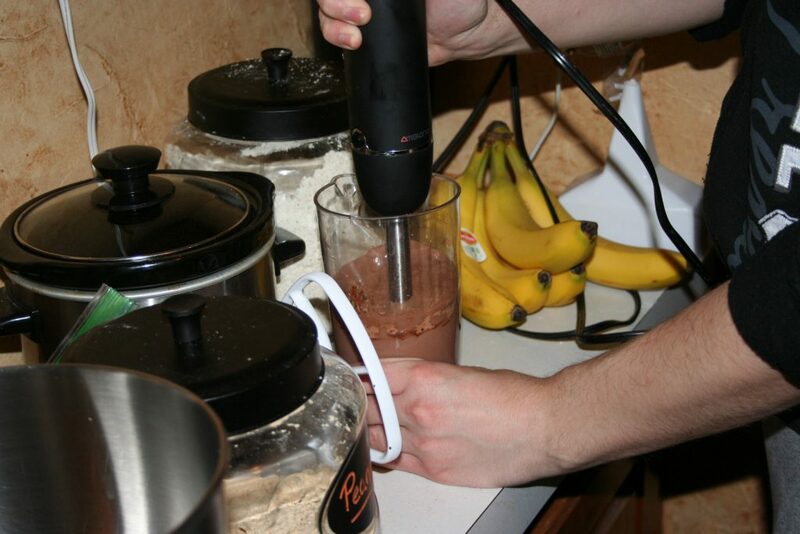 Then he pours it into a blending cup but you could use a blender. Next add in about 2 tablespoons of cocoa. 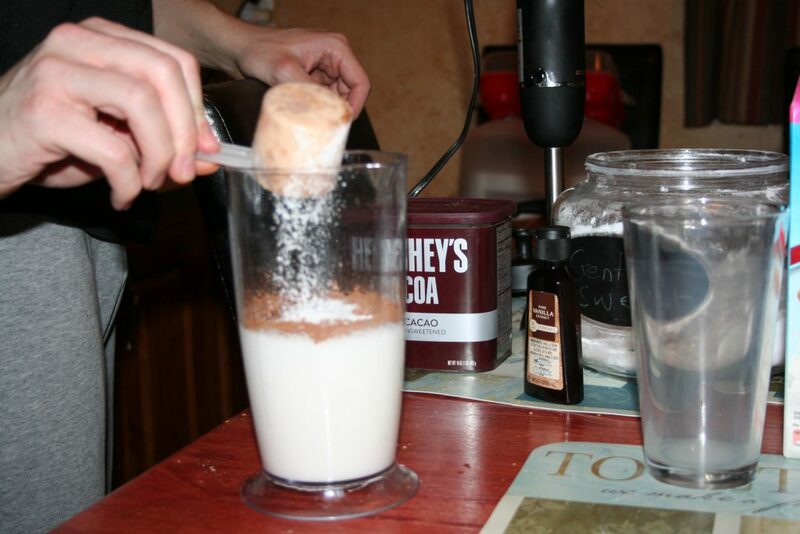 Then add 3-4 tablespoons of Gentle Sweet (this is a THM powdered sweetener but you can use your favorite one). He said he usually adds the sweetener first because then he doesn’t have to wipe off the scoop. Then add a dash of vanilla. I may add a small pinch of salt next time to round out the flavor; I just thought of that. The cocoa will be resistant to blending but persevere and it will surrender. Then pour back into your glass and enjoy! maybe a pinch of salt? 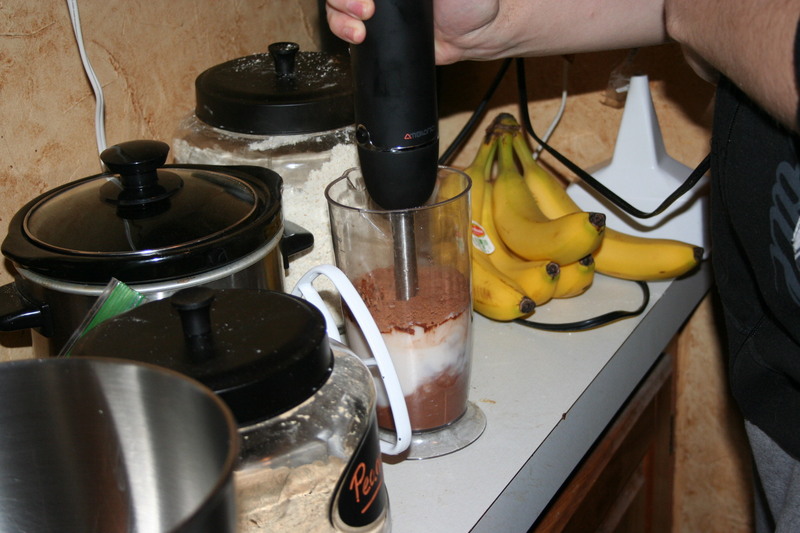 Pour your milk into either a blender or blending cup. Pour into your glass and Enjoy! 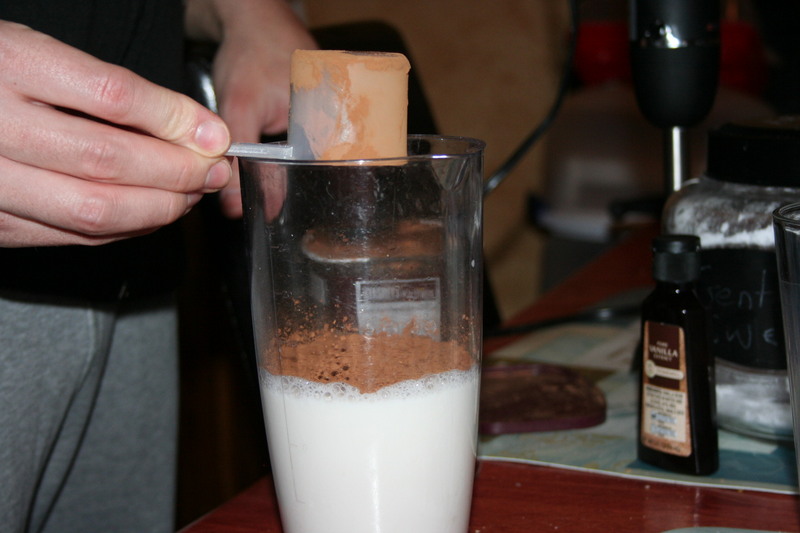 I hope you enjoy this chocolate milk, we sure do.